STAFFORDSHIRE based broker CBVC is looking to grow its footprint into larger fleets with the appointment of Ashley Boaden as National Sales Manager. Ashley joins CBVC from Daimler Fleet Management, where he spent a year as a new business sales manager. With 18 years in the fleet industry, Ashley has experience across a wide range of different roles. 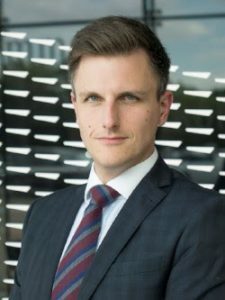 He has also worked at Vauxhall Motors, Northgate Vehicle Hire, Rybrook Group and JT Hughes in similar sales development roles. Ashley is tasked with expanding the company’s footprint among larger fleets by offering the full range of CBVC’s fleet management services which encompasses, vehicle financing, vehicle maintenance, telematics, driver management, fuel cards and fuel management, health and safety compliance. “Mike is very highly regarded in the industry and having worked with him on various projects in the past I have got to know the business quite well. I like the business’s ethos and always felt that CBVC had something unique to offer, so I am glad that I have finally got the chance to work for the company.